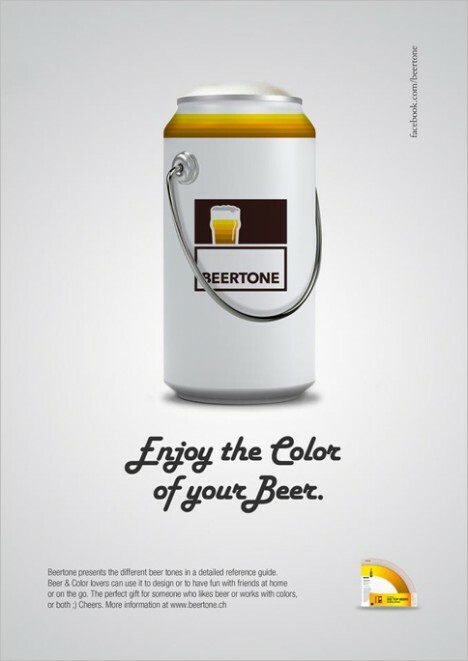 Connoisseurs may look to artisanal naming conventions when selecting their brew, but some of us (like books via covers) judge beers at least partly by their colors. 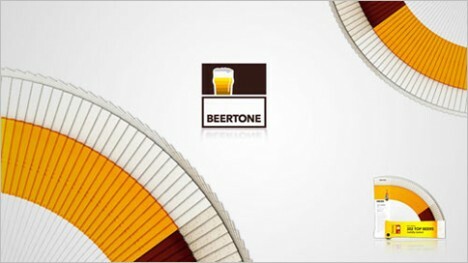 A Spanish design agency named Txaber has matched brew types with Pantone hues to create a collection of color-coded labels, providing sneak peaks to potential drinkers. Thanks to the recent comeback of the can (versus historical preferences for bottles), these might just make it on the shelves. In turn, can designs give designers a broader canvass to work on, wrapping 360-degree cylinders. 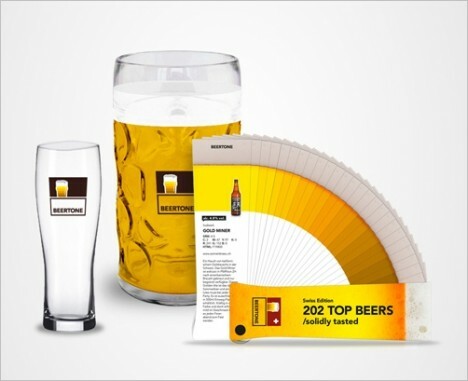 As a display strategy, these are striking alone as well as side-by-side as well. 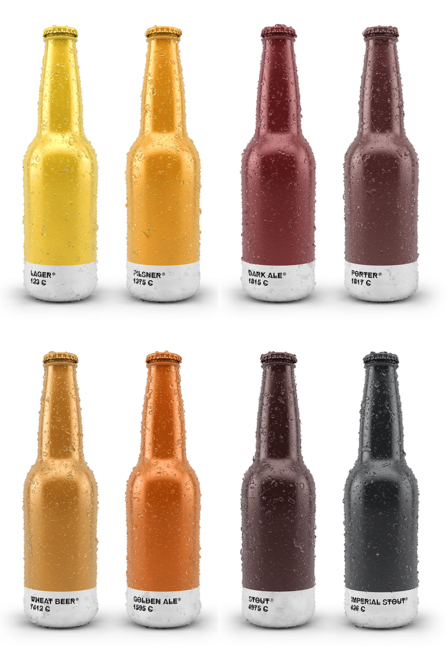 Similar project, dubbed “Beertone” by designers Alexander Michelbach and Daniel Eugster, provides RGB, CMYK and HTML code color values for a variety of extant Swiss beers, aided by the breweries. 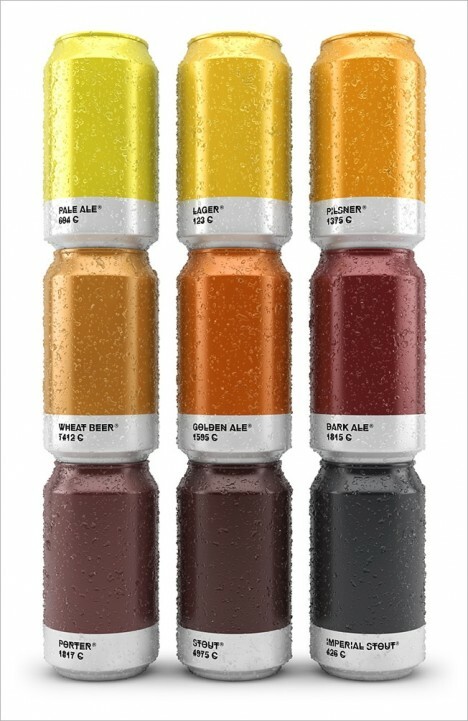 There is something accessible and yet artsy about this all, distilling a brew to its color and letting those of us who are more into lights and ambers (pilsner’s in particular, if you aim to by this author a six-pack) avoid mistakenly winding up with a brown or black.